Download: O.B.A.$. - Eyez on The Prize 4: Refuse to Lose | MyAyiti.com a Place for Haitian Empowerment! Check out O.B.A.$. 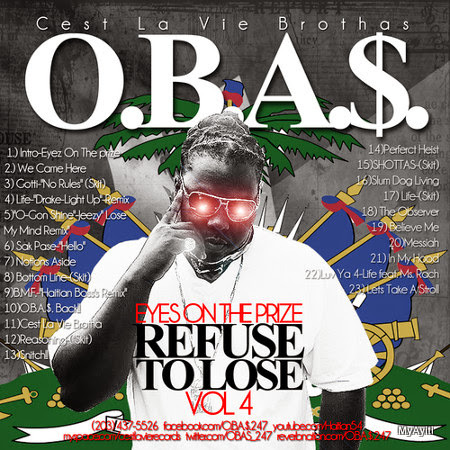 (O.nly B.rothas A.nd S.istas), a Haitian hip-hop artist, mixtape titled 'Eyez on The Prize 4: Refuse to Lose'.